Hello! 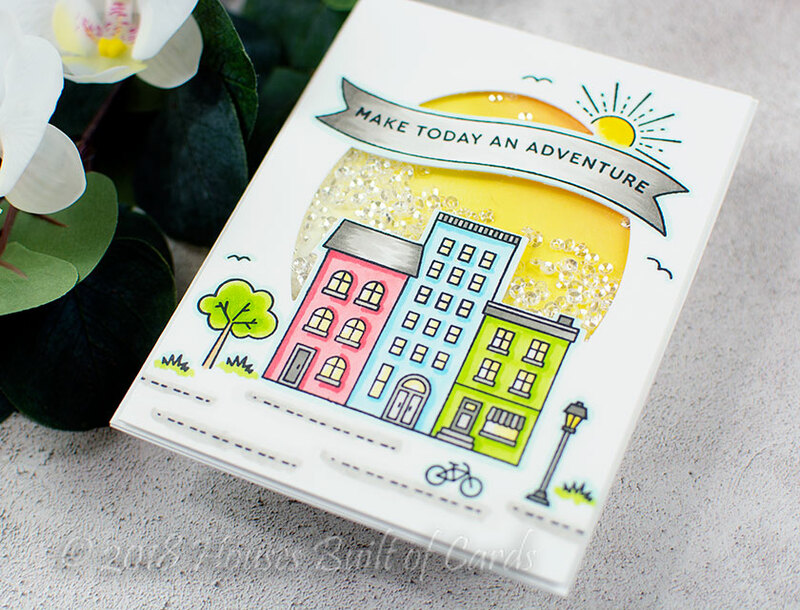 I'm popping in real quick to share the details on a card I made using some lovely Pinkfresh Studio Stamps and Dies! 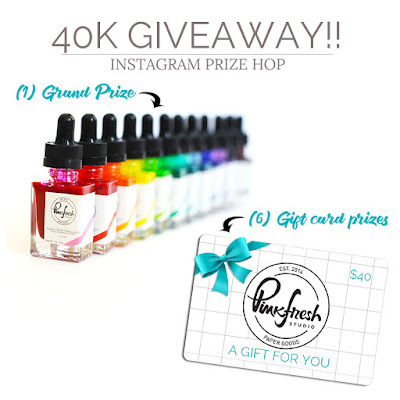 You may have seen this card on Instagram today - it is part of a fun Insta-hop to celebrate Pinkfresh Studio hitting 40K followers on Instagram! There is also a fabulous giveaway going on over there - you might want to check it out HERE if you haven't already! Now...onto the details on this card! 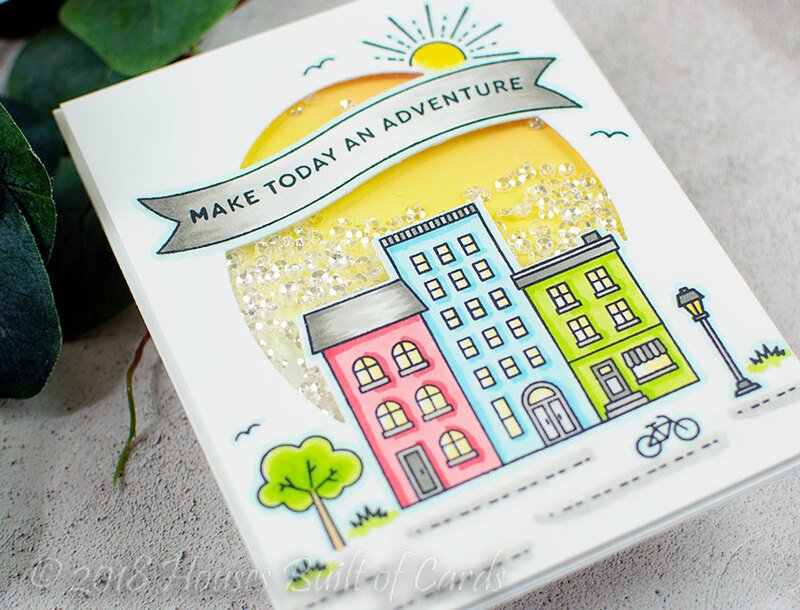 I created this using the fun duo of A Day in the City Stamp Set and Cityscape Die. While these layers work together for lots of fun things - they also work perfectly for making shaker cards like this! I did some Distress Oxide ink blending to create a fun background, then finished my shaker and filled it with lots of tiny sparkly clear sequins from Pretty Pink Posh. Which house would you like to live in best?!?! ?